Voice of San Diego examined the city’s most recent arts funding awards to determine what forms of arts and culture get the most support from the Commission for Arts and Culture. Arts commissioners are set to scrutinize the way the commission doles out funds in a series of upcoming meetings. The city might change how it funds cultural nonprofits. Arts commissioners are scheduled to scrutinize the current funding model in a series of meetings kicking off Oct. 18. Vernon Franck, one of the city’s volunteer commissioners on the city’s Commission for Arts and Culture, said that for years he’s pushed the commission to re-examine its funding process. He’s in a better position than ever to make that case: Only two of eight staff spots on the commission are currently filled. The commission is also in the midst of hiring a new leader since its executive director stepped down early this year. The paid commission staff and the director are supposed to support the volunteer arts commissioners, but historically it’s been the staff that has been taking the lead. Now Franck sees an opening. One of the biggest issues, Franck said, is that there’s no cultural master plan that spells out a strategy, and no mechanism to ensure the nonprofits the city funds are producing a wide array of arts and culture offerings accessible to residents in every part of the city. 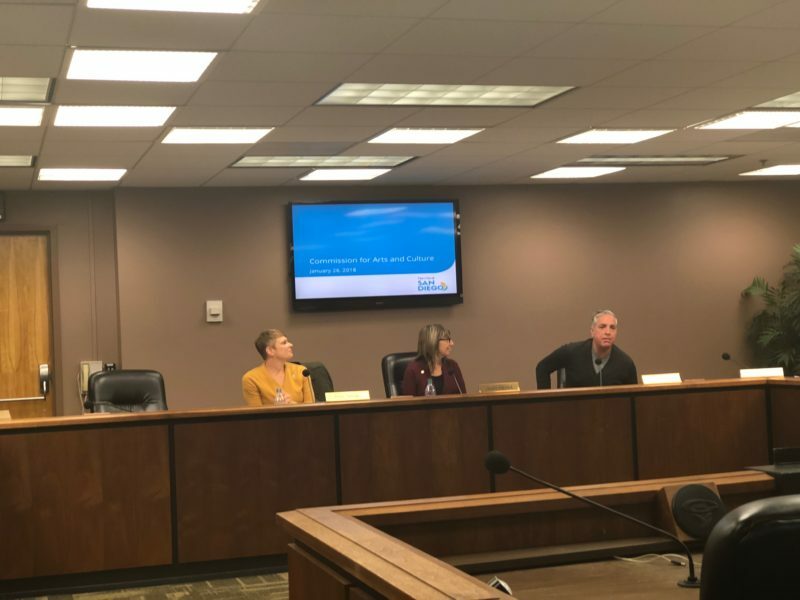 Voice of San Diego examined the city’s most recent arts funding awards to determine what forms of arts and culture get the most support from the commission. Putting festivals, street fairs and other cultural offerings that don’t fit into any one arts genre aside, music came out on top, with approximately $2.4 million in commission funding this year. Visual art and theater were next – they received about $1.7 million and $1.6 million, respectively. Dance got about $500,000 and film about $330,000. Franck, a land surveyor and longtime arts advocate who lives in North Park, said the city should be doing that kind of analysis every year. The city funds the arts through a percentage of the hotel tax. The money is doled out to local nonprofits by the Commission for Arts and Culture, which administers two main funding programs. In fiscal y The city’s funding algorithm, or how it determines which nonprofits get what amount of money, has been in place since 1994. The algorithm dictates that the more money an organization has, the more m—oney it can get from the city. Peter Kalivas, the executive and artistic director of The PGK Dance Project and a vocal critic of the Commission for Arts and Culture and its funding program, said the system is outdated and has resulted in the same nonprofits getting nearly the same amount of funding every year. Newer or smaller nonprofits often get left out of the process, he said. Kalivas also points to San Diego Comic-Con International, which for the first time applied for city funding for its new museum in Balboa Park. Since Comic-Con’s annual budget is massive, the nonprofit got $489,802, one of the highest award amounts. The commission’s funding algorithm was modeled after the California Arts Council’s algorithm in the 1990s. The Arts Council, though, has since changed the way it funds cultural nonprofits throughout the state. The state agency has several grant programs, but each has a cap, or a maximum grant amount. Some of its grant programs are open to organizations of any budget size, but many have restrictions that only allow smaller nonprofits with budgets less than $1 million to apply. California Arts Council Executive Director Anne Bown-Crawford said 71 percent of the agency’s grantees operate with a budget of under $1 million. Franck said he hopes the commissioners’ upcoming meetings will result in solid recommendations for the City Council and mayor that include overhauling the funding system in a way that carves out more for smaller nonprofits, and possibly arts organizations like Bread & Salt in Logan Heights that don’t have nonprofit status, but do provide arts and culture services to the city. Not everyone wants the system to change. Jacqueline Silverman, executive director of the San Diego Art Institute in Balboa Park, said the system is fair. The Art Institute got $48,304 in the most recent funding round. But Silverman said she’d be open to hearing new ideas about how to improve the funding model. The commissioners can only come up with recommendations. It would take a City Council vote to change the funding policy.